A mobility scooter will be useless without its battery. It thus makes good sense to take good care of this component to improve the battery’s life. It’s common for mobility scooter batteries to be replaced after 12 to 18 months of use. With proper care, however, you can extend the life of the battery and still enjoy your vehicle without any hitches. Keep reading for tips on how to maximize the battery of your mobility scooter. New batteries require a deep cycle full charge. You should perform a deep cycle full charge of the batteries if your mobility scooter is brand new. This will help maximize the range of the batteries so that you can always enjoy mile-long rides and full day activities with your scooter. Make sure to fully charge the batteries before driving the scooter. You don’t always need to wait for the batteries to be completely discharged before you plug it in. You should recharge every night after using the mobility scooter. 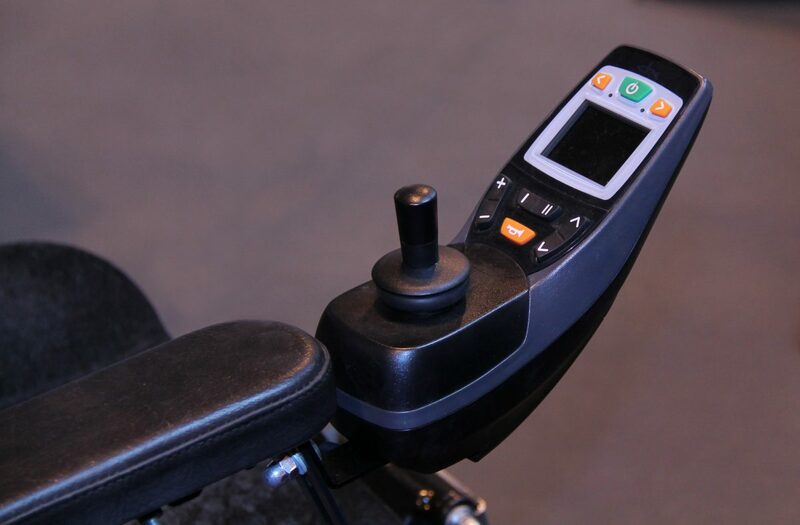 Most scooters require eight hours of charging time so the recommendation is to plug the machine when you are sleeping. It is alright to drain the batteries of a brand-new scooter to at least 30 percent before giving it a full charge. However, do this for about a week only. After that, you have to plug it in regardless of what it says on the battery indicator. Draining the battery to 80 percent or more could ruin its efficiency faster. Allow the battery power to reach low at least every two months, but avoid letting the batteries go completely flat. Always use the battery charger that comes with your machine. If you find yourself stuck with a dead battery without a charger, resist the urge to use a friend’s charger or buy a cheaper replacement. You’ll risk breaking your battery if you attempt to use a charger that was not meant for your vehicle. It’s highly possible for the wiring patterns of batteries and chargers to be mismatched. In this situation, it’s helpful to have the number of the manufacturer or its customer helpline. Call them and ask questions in case you really have to use another charger. Get the manufacturer’s information from the scooter dealer or store where you got the scooter from, and keep it in your phonebook or contact list for emergency cases. Keep the battery compartment clean. Wipe the battery compartment with a soft and clean cloth after every use especially if you’ve driven your scooter on a wet pavement. Make sure that the battery area is completely dry before you drive the scooter again. You might need to grease the terminals of the battery once in a while for maintenance. Detach and store batteries properly if you’re not using the scooter for a long period. When it’s winter and you’re using your scooter in the snow, it’s recommended you take out the batteries, and store it in a cool and dry place until you have to use it again. According to the mobility report for the American Association of Retired Persons (AARP), most scooters are easy to dismantle so you won’t have any problem taking out the batteries for storage or replacement. See, it’s easy to care for your mobility scooter’s battery to maintain its peak performance! Follow these tips and you’re sure to maximize your scooter’s life. If you’re looking to rent a scooter — whether it’s short term or long term — Yellow Scooters is just a call away. Reach out for help today by calling 855-274-3363.